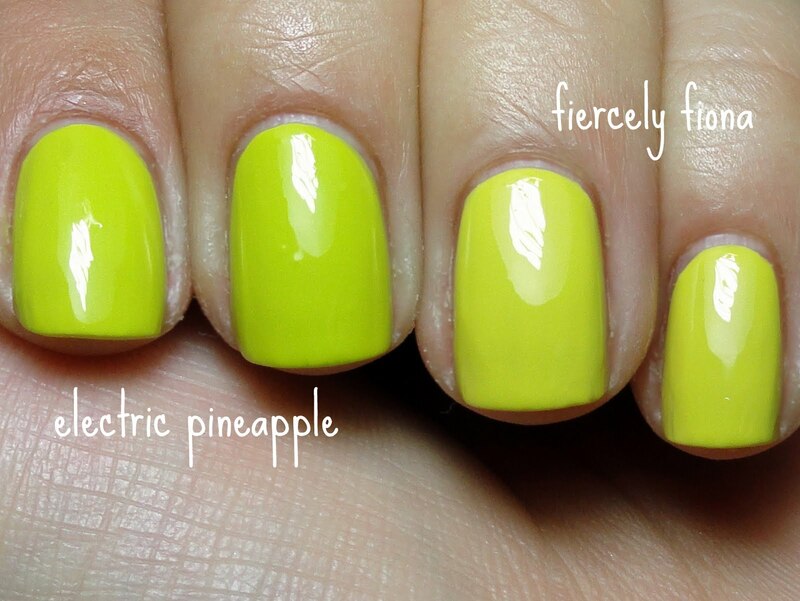 I wanted to show you a comparison between China Glaze's new color Electric Pineapple, from the Island Escape collection, and OPI's Fiercely Fiona, from their Shrek Collection. EP is more green than FF for sure. Pineapple is also a thicker polish but I find that I used the same amount of coats for each anyway. They are similar enough to say you don't really need them both, but depending on your coloring, one could look better on you than the other. I'VE REACHED 2000 FOLLOWERS!!!! THANK YOU TO EACH AND EVERY ONE OF YOU!! !